At Ruggless Dental, a Springfield, IL dentist, we provide general and family dentistry designed to give patients optimum oral health. We treat patients of all ages with a comprehensive approach to care. Unlike corporate dental practices, you can always count on seeing the same dentist, Dr. Shane Ruggless, when you have treatment in our office. Being a private dental practice allows us to provide individualized dental care that meets your specific needs. It also allows us to develop long-term relationships with our patients, which results in better care. It is always our goal to prevent problems before they start. We would love to have a practice full of healthy smiles! 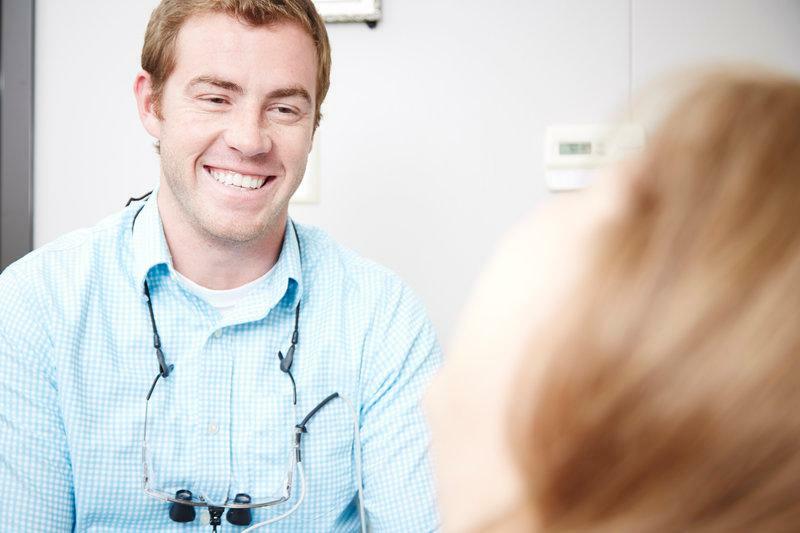 When you trust us with your care, Dr. Ruggless will perform a comprehensive exam to determine your current oral health. By examining each tooth, your gums, and your bite, we can diagnose any conditions you may have and create a preventive treatment plan that keeps you healthy. Our hygiene team is dedicated to gentle, thorough dental cleanings that meet your needs. We offer various types of professional dental cleanings ranging from a routine cleaning and polish to deeper cleanings if you have some catching up to do. Healthy gums are essential to good oral health and to your overall health and wellness. Your teeth work hard for you every single day. Chewing is a tough job! They also make speaking easier and give shape to your facial features. It is important that we repair them as quickly as possible when they have decay or trauma. Dental restorations such as fillings, crowns, bridges, veneers, and bonding should look great and feel great. Dr. Ruggless uses high-quality restorative materials combined with years of experience to give you the best that today’s dentistry has to offer. Each dental restoration is a small work of art designed to protect the health and beauty of your smile. Your smile is an important part of who you are! Smiles can convey friendship and love and are used across cultures to make connections between people – personally and professionally. When you are self-conscious about how you look, you might not send the message you would like. We can design a cosmetic treatment plan to improve your appearance and help you have confidence when it comes to making those meaningful connections. Whether you want whiter teeth or a completely new look, we offer services such as bonding, teeth bleaching, veneers, implant restorations, and tooth-colored fillings to keep your smile looking its best. We look forward to meeting you and giving you a great dental experience. We know that sometimes anxiety, busy schedules, and embarrassment can keep you away from the dentist for longer than you anticipated. We will never make you feel bad, even if you have missed a few (or more than a few) appointments. We can help you get back on track! Call our Springfield, IL dental office and set up your next appointment!